It’s ok for your blog to stand out from your website, in fact, it’s great! Blogs are a way to present your personality to your client. 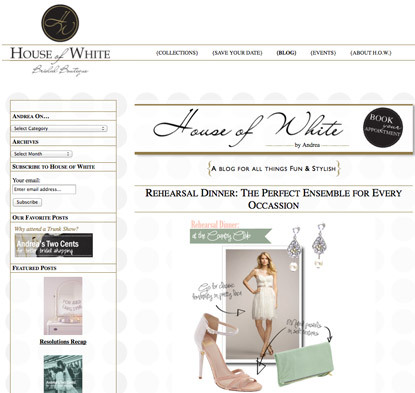 This website design, as a whole, is very classic using the colors black and white with gold accents. 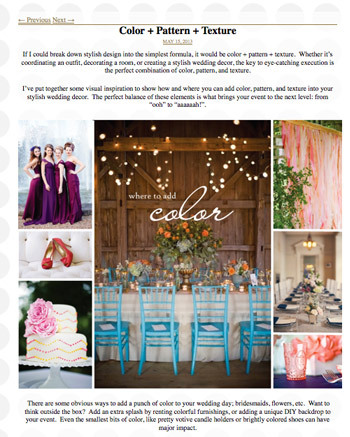 Adding a fun pattern in the background of the blog and other tweaks to fonts and images allow it to stand out as a great place to learn about all things “Wedding”! It’s projects like this that make me excited to offer my blog design services. The main blog page can feature the latest post so readers are always aware of the latest news, or it can be a brief listing with enticing images to encourage more readers. 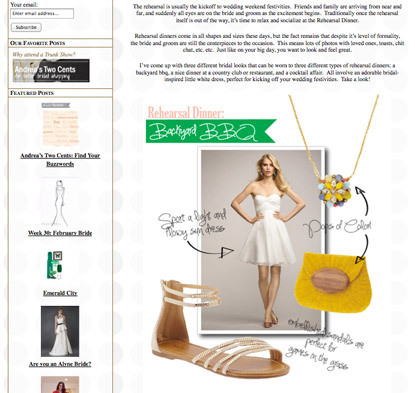 This over all blog design is fun, light yet informative. Having and maintaining a consistent blog design has allowed Andrea to show people, before even calling, she is an expert in her field. It doesn’t matter your industry, we can find a way to connect with your audience and help you stand out among competition using my blog design services.